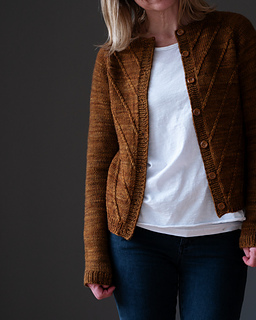 The Winterfell Cardigan Aran is the big sister of the Winterfell Cardigan (Sport weight) and is designed for the amazing yarn La Bien Aimée Merino Aran! 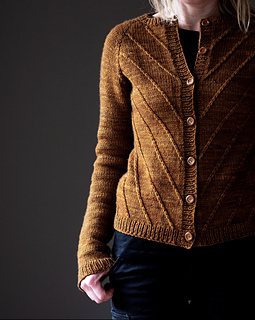 If you have already purchased the Winterfell Cardigan, you get the Winterfell Cardigan Aran with a 50% discount. 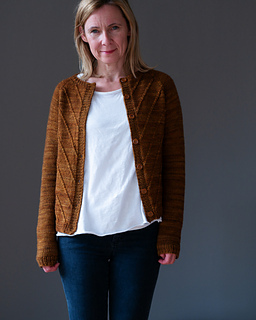 Beginning with the neckband, the cardigan is worked back and forth in rows from the top down. 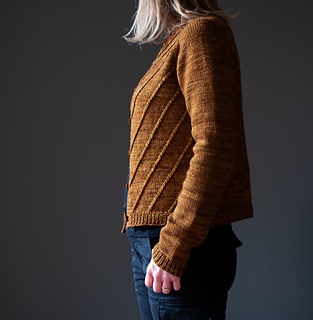 Diagonal slipped stitch lines are added to the fronts. 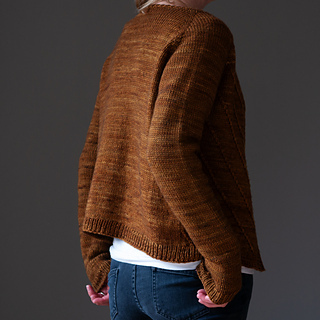 The body is worked with a slight A shaping and finished with a ribbed hem. 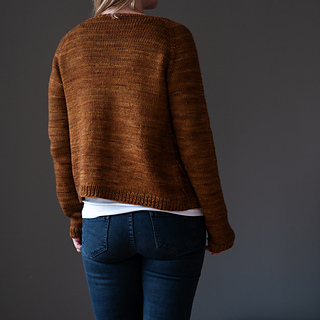 The front bands are picked up and knitted after the body is complete. 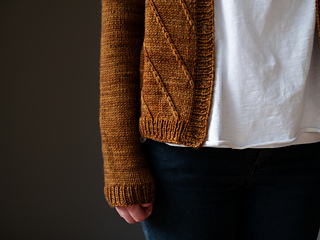 The sleeves are worked in the round and finished with ribbed cuffs. Approx. 2-4” / 5 - 10 cm of positive ease are recommended. 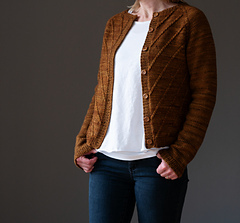 Sample is shown in size XS with 2” positive ease. 5 (5, 5, 6, 6, 6, 7, 7, 7) skeins of La Bien Aimée Merino Aran (100% Merino, 100 g / 182 yards / 166 m), or approximately 853 (886, 908, 962, 1017, 1049, 1104, 1148, 1203) yards / 780 (810, 830, 880, 930, 960, 1010, 1050, 1100) m of aran weight yarn that gives you the same gauge. 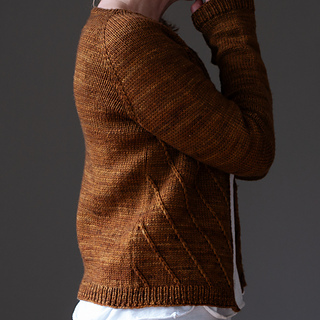 The sample is knitted in colorway Caramel.